This commuter friendly 2 Bedroom, 2 Full Bath main level condo offers 1,130 square feet of easy living space. Freshly painted from top-to-bottom in a designer grey and recently replaced windows (with transferrable warranty!) make this unit shine. 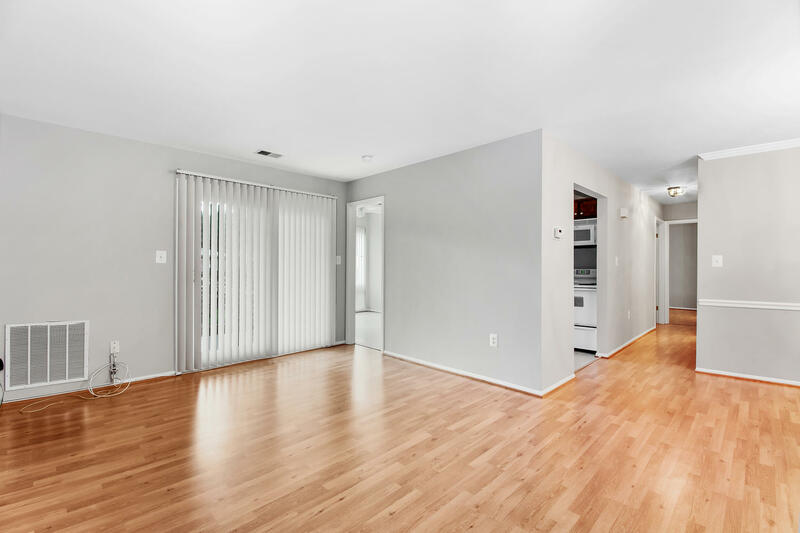 Wood-style laminate flooring spans throughout the entire unit, including the living room that showcases a sliding glass door to the outdoor patio, the dining room accented with crown & chair rail molding, and two generously proportioned bedrooms. The galley-style kitchen offers ample cabinet storage & an adjacent breakfast room with an impressive wall of floor-to-ceiling windows & a second slider to the patio. The master suite features a sizable walk-in closet with built-in shelving and a master bath that includes a newly refinished bathtub & tile surround. Completing this condo is a full-size laundry room, a recently replaced HVAC (2013), and a bonus 5’x10’ secure, climate-controlled storage unit. All of this in a super convenient location, just seconds to Shady Grove Metro Station with easy access to I-270, I-370 & MD-200. The community amenities are plentiful to include a pool, exercise room, sport courts, parks, Capital Bikeshare and neighboring 20+ acre Blueberry Hill Park.